If you’ve ever seen a moose in the wild, then you know what we’re talking about here: You will never forget it! Honestly, all the movies and the painting and the pictures just don’t do them justice. They’re majestic enough to literally take your breath away! Not only just the sheer size of them is impressive, but that rack, baby…oh, man, that rack! And we’re not even all that much for nature - we’re more indoor kids, if you haven’t noticed - but we’ll totally trek out into the wilderness just for a sight of a Moose taking a drink at a bubbling brook! So if you love them as much has we do, you already know that hunting one down would be kind of a bummer. But you don’t want to lose your hunting cred, either, and sporting some big game is the hottest ticket in town at the ol’ hunting camp. So get the best of both worlds by becoming majestic animal you love whilst also showing your sporting side with this Trophy Head Loose Moose Costume! In this Trophy Head Loose Moose Costume, you’ll be the - absolutely hilarious - pride of anyone’s den while also keeping the wilderness just as nature intended! 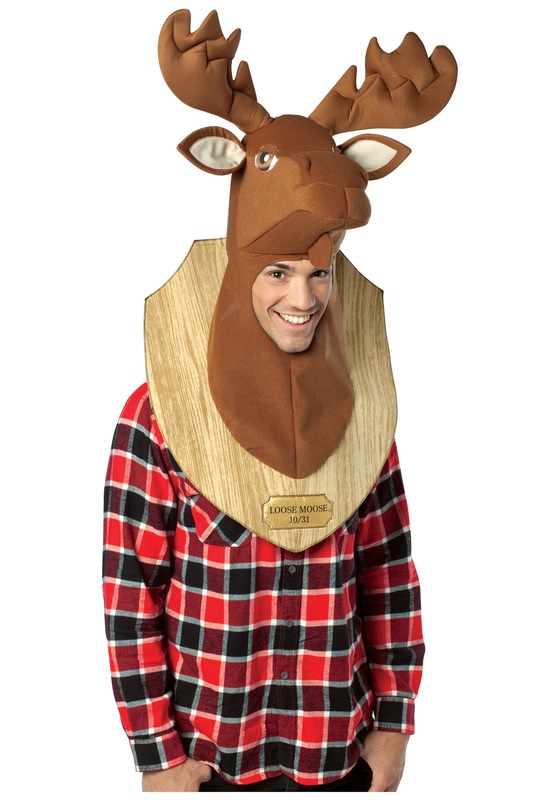 Made of 100% polyester, this costume features a brown moose head attached to a wooden plaque which reads, “Loose Moose 10/31’’! Which is absolutely perfect for an enthusiastic hunter, Moose lover, or just the guy who always barges into the party like he’s running from a gun! So if you want to look like you got caught on the wrong side of a 12 gauge - an interesting preference, but okay - “hunt” this costume for a ruggedly fun Halloween!